One of the most common New Year’s Resolutions is “getting healthy.” This could mean losing weight, building stronger muscles and bones, minimizing stress and maximizing mental health–the varieties are many, but the basic idea of all these is to take care of oneself. But why not start a little early? MyCatholicBlog understands that the holiday season to a large extent is about enjoying oneself–eating, drinking, being merry and all that–but did you know that Christmas and New Years’ are the two days of the year where a person is most likely to have a heart attack? Seriously! The unhealthy meals, the stress, and even the weather (cold weather causes the blood vessels to constrict) all play a part in holiday heart health. 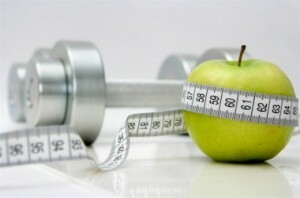 Additionally, the average weight gain over the holiday season is reported anywhere from 1-5 pounds per person! Now, one pound might not seem too daunting (if you’re lucky enough to stay on the low end of that spectrum), but consider this: the average weight gain per person per year is supposed to be about 2 pounds, meaning that half of your yearly weight gain is accrued over the course of one month. Also, people who are overweight tend to experience weight gain significantly higher over the holiday season, usually about 5+ pounds. So, this holiday season, try to stay healthy! Choose nutritious options at the holiday party (there has to be a fruit or nut dish somewhere), enjoy time with the family instead of worrying about gifts/travel plans/etc., and make sure to set aside some personal time. Christmas is meant to be spent in good spirits….and good health!